3 ropes made of braided nylon in a rainbow of bright colors. 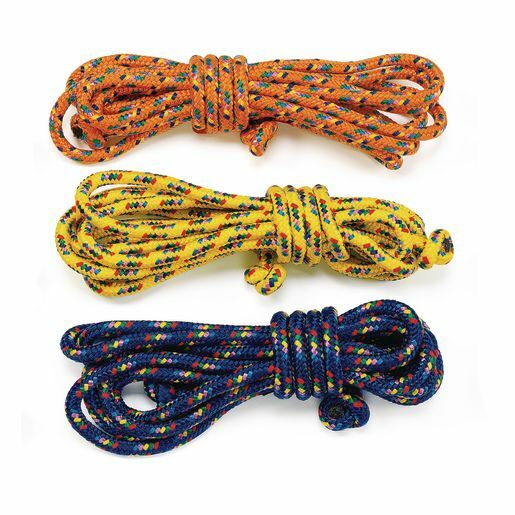 Fully braided means the ropes "swivel," which prevents twisting keeps them free of knots and tangles when stored. No handles, safe for all ages!